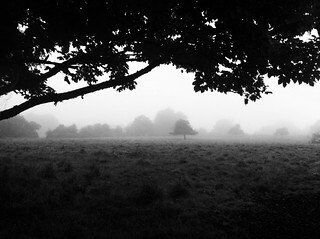 Taken on a foggy morning in france, coigny on an iPhone 4. Black and white. Added on explore #179 August 10th. Thanks for comments and feedback.